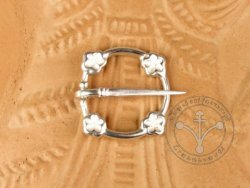 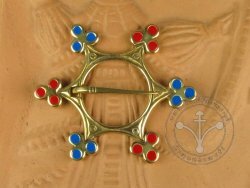 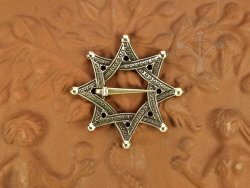 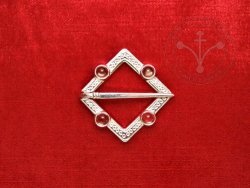 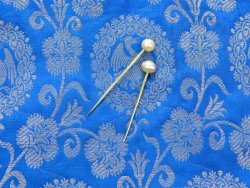 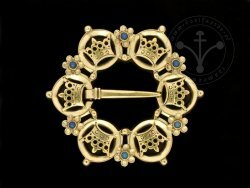 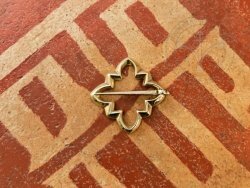 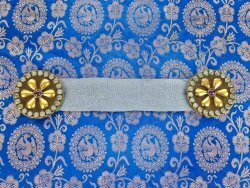 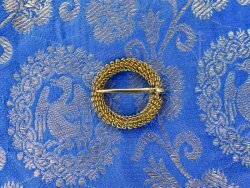 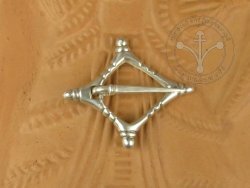 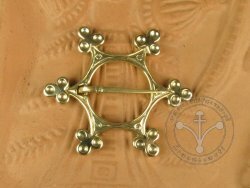 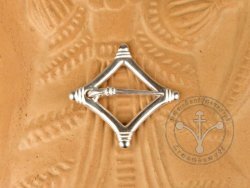 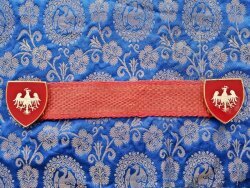 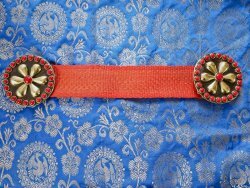 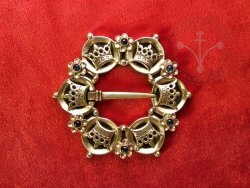 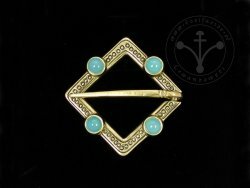 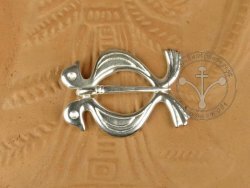 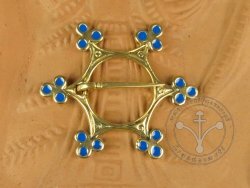 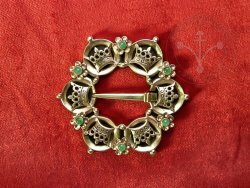 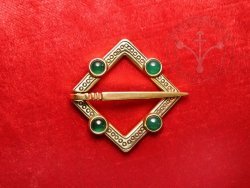 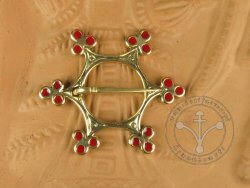 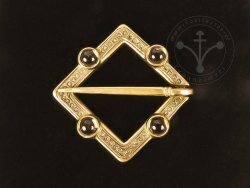 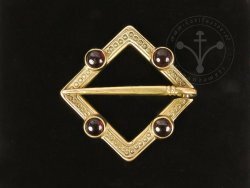 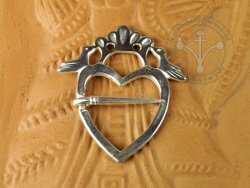 In 13th-14th century brooches, while decorative, were used as an important element of everyday garments. 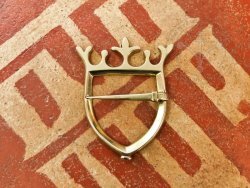 Until ca. 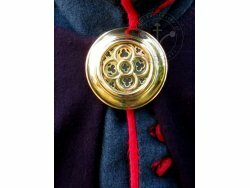 1350 they were used to fasten neck openings. 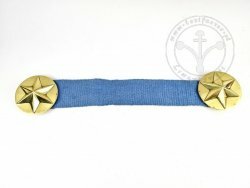 Later they began to play mostly decorative role, worn on one’s chest or on caps and hats. 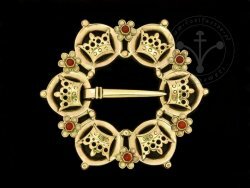 They were usually cast from copper alloys (brass, bronze) or silver, often gilded or decorated with gemstones. 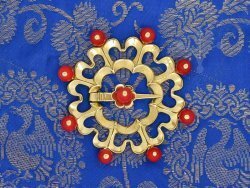 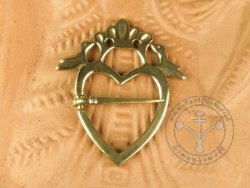 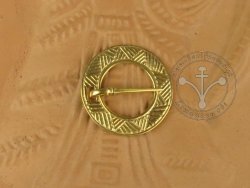 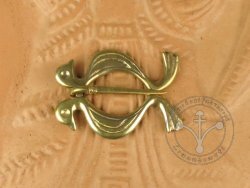 In our offer you can find brooches made from brass, silvered and gilded. 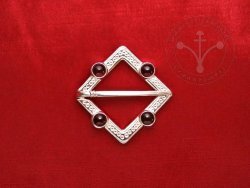 A new item in our brooches range are brooches decorated with precious stones: garnets, amethysts, carnelians and agates. 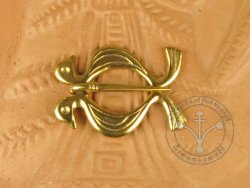 BR-03 Brooch - "Heart with birds"
Source: Many archeological findings from Germany (Badingen, Uenze); England; Poland (Słupnica, Ostrów Lednicki, Kołobrzeg). 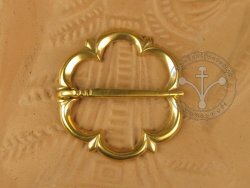 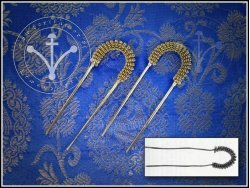 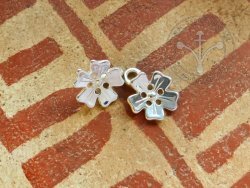 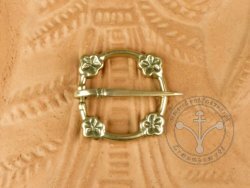 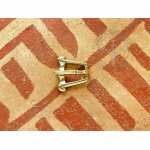 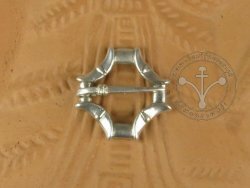 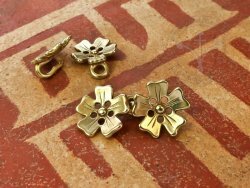 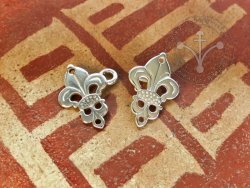 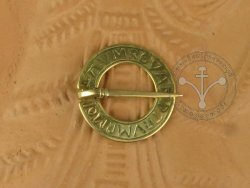 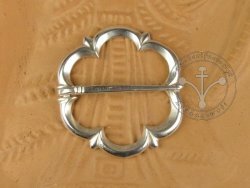 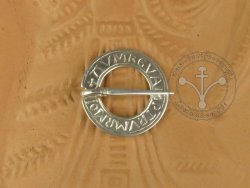 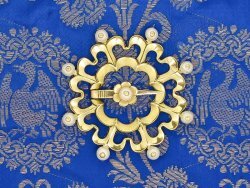 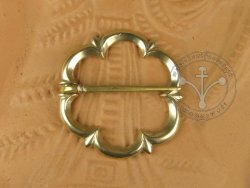 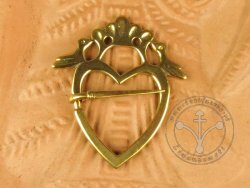 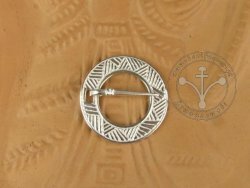 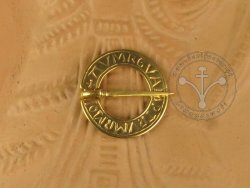 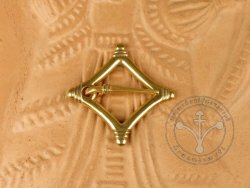 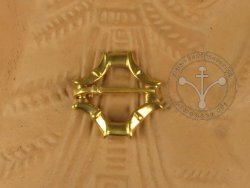 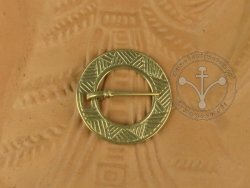 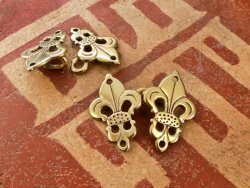 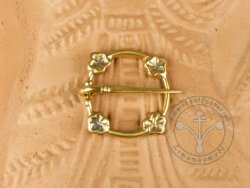 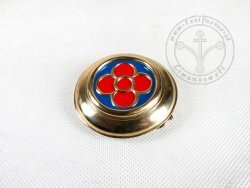 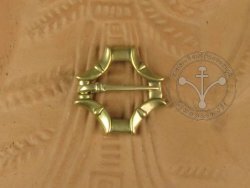 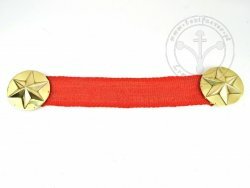 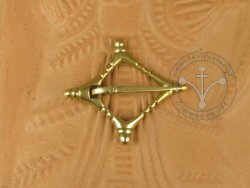 BR-51 Clothes fastener "Fleurs de lis"
Size : 2 cm (diameter); 0,5 cm (height)+ 0,5 (height of eye). Dated: late 14th - beginning of 15th cent.